Michael X. Rohan, Jr., D.O. Dr. Rohan, Jr. specializes in the treatment of back and neck pain, including degenerative disease, spinal deformity (scoliosis) and spinal trauma. Dr. Michael Rohan, Jr. is fellowship-trained in spine surgery, the highest level of medical education in the U.S. His fellowship was done at the prestigious Texas Back Institute, which in 1986 was the first and largest spine specialty center in the United States. During his fellowship, Dr. Rohan, Jr. specialized in minimally invasive spine surgery techniques that require the surgeon to operate through a one-inch incision using tubular retractors with tiny cameras and cutting devices in the tip. Dr. Rohan, Jr. received his D.O. degree from Nova Southeastern University College of Osteopathic Medicine and completed his orthopedic surgery residency at the University of Medicine in New Jersey. Dr. Rohan, Jr. founded Northwest Florida Spine 10 years ago, as one of the first spine surgeons to bring these new minimally invasive spine surgery and artificial disc replacement techniques to the Panama City region as a long-overdue alternative to traditional 3-inch long incisions that were common in the region. Consequently, Northwest Florida Spine over the years attracted hundreds of patients and referrals from across the Northwest Florida Panhandle region, from Mobile, Alabama; Fort Walton Beach; Pensacola; Destin; Miramar and to the east Tallahassee and Dothan, Georgia to the north. 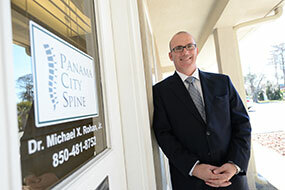 Responding to its regional reputation in spine care, in early 2018, the spine center transitioned its name from Panama City Spine to Northwest Florida Spine which reflects the regional draw of patients. Dr. Rohan, Jr. is a member of the American Osteopathic Academy of Orthopedics and is able to surgically treat problems in the cervical, thoracic, and lumbar spine. He has also participated in spine surgery research projects and has published his results in the annual meeting of the North American Spine Society. Each year, Dr. Michael Rohan, Jr. DO at Northwest Florida Spine is referred back pain and neck pain patients from across the Gulf Coast, including the Florida Panhandle, Southern Georgia, Southern Alabama, Pensacola, Tallahassee, Destin, Fort Walton and as far away as Mobile, AL. Family practice physicians and chiropractors often refer patients who have exhausted non-surgical treatment options and need to learn their surgical options. This can include new techniques in spine surgery that reduce the length of the incision, or new artificial disc replacement surgery. What is the difference between a D.O. and M.D.? M.D.s practice allopathic medicine, the classical form of medicine, focused on the diagnosis and treatment of human diseases. MD stands for Medical Degree. D.O.s practice osteopathic medicine which proponents say “is a more holistic view of medicine in which the patient is seen as a whole person rather than treating the symptoms alone.” D.O stands for Doctor of Osteopathic Medicine. Both types of physicians can prescribe drugs. Both types specialize in surgical or non-surgical subspecialty niches. The medical training for an M.D. and D.O. is virtually indistinguishable with the exception that osteopathic physicians have additional training and exposure to manipulation. Both MD and DO physicians complete conventional residencies in hospitals and training programs. Both are licensed in all states and have identical rights. There are about 800,000 physicians in the United States today; the vast majority — 750,000 — are MDs. Only 50,000 are D.O.s, or about 10% of the physician population. 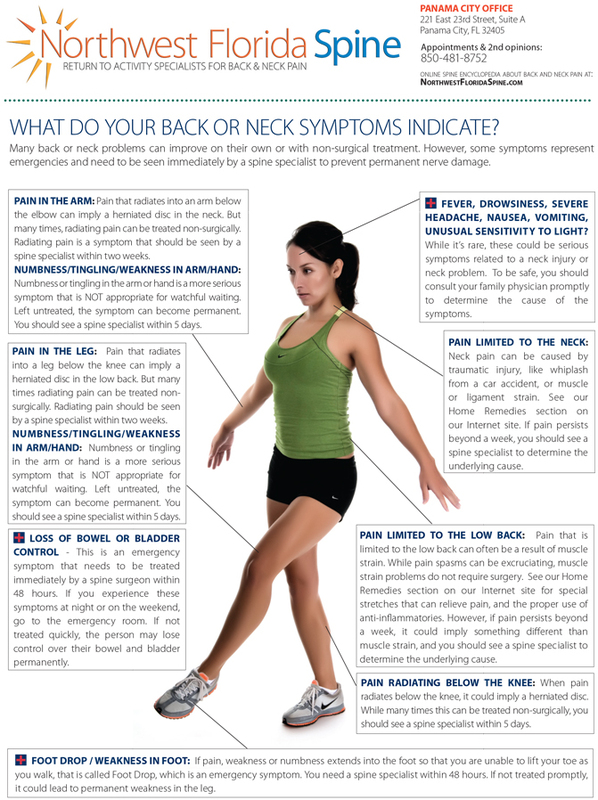 One of the most prevalent providers of care for back and neck pain are chiropractors. While there are MDs who challenge the science related to HOW chiropractic relieves back or neck pain, and IF the benefits of manipulation are temporary vs. permanent, few argue that manipulation seems to help many people with simple back and neck pain to relieve symptoms. Sometimes the relief may be temporary, sometimes the manipulation of the back and neck yields more permanent relief. Chiropractors can’t prescribe drugs, painkillers or narcotics which can cause dependency issues as they mask problems rather than healing them. Chiropractors can’t do surgery so you won’t have failed back surgery syndrome. So for simple acute back or neck pain, manipulation and therapy in general are low-risk non-surgical treatment options that many patients explore. Advocates of osteopathic medicine argue that the D.O. degree background with manipulation, musculoskeletal and wellness can provide yet another facet to the physician’s expertise with assessing back and neck pain.